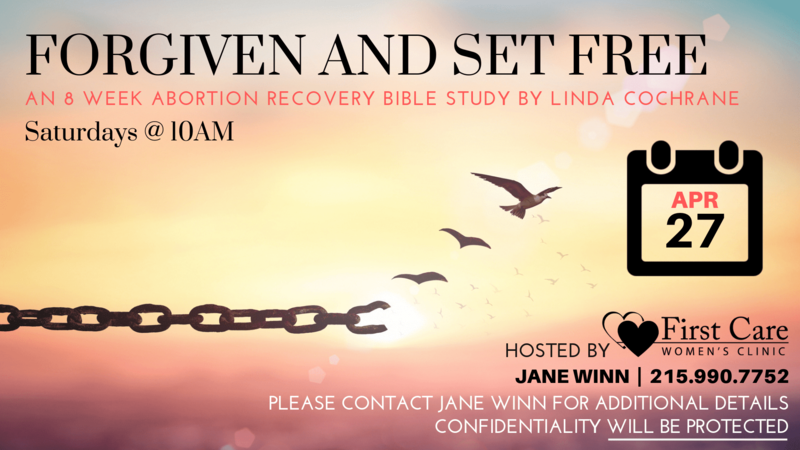 This eight week bible study will be hosted by First Care Women’s Clinic. It will be an opportunity for healing and closure if you have had an abortion in your past. The facilitators are post abortive and offer a loving and grace filled approach. Confidentiality will be protected! Please contact Jane Winn, MSS (@ 215.990.7752) who is the Abortion Recovery Director at First Care for more information or to sign up.